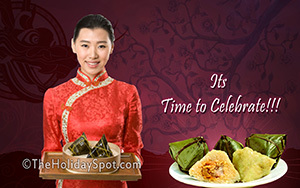 With the splash of thousand ores, the mouthwatering smell of Zong-zi, the stern stare of Zhong Kui and the aroma of the spice bags - the Double Fifth Day is here again. 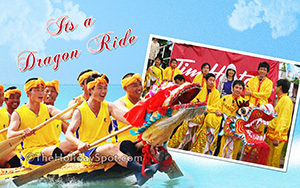 And it brings along the opportunity to celebrate the Dragon Boat Festival (aka "Duan Wu"). 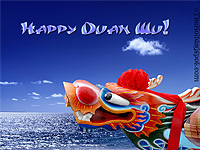 To let you celebrate the occasion in a grander way, here we bring for you all some highly attractive wallpapers related to Duan Wu. 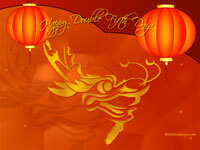 Set these onto your your desktop screen and make your celebrations better and brighter. 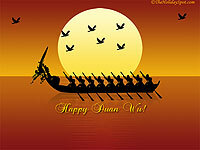 In case you want to send any of these cool DUAN WU WALLPAPERS to your friends and dear ones, you can also have that option underneath each wallpaper thumbnail. 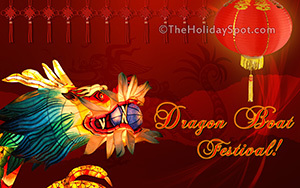 If you like to share the entire collection of Dragon Boat Festival wallpapers with your pals, just click here and refer this page to them. 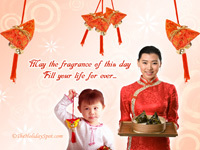 Wish you a Happy Duan Wu! 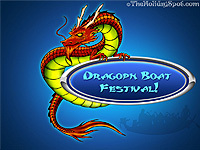 Tip: Check out these exquisite Dragon Boat Festival wallpapers. 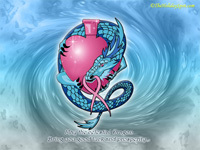 Just click on any of the links alongside any of the wallpaper images given below to get it in the size you want for your desktop. 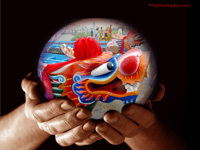 The image will open in a new window and after it loads fully, right click on the image and choose "Set as Desktop Background". 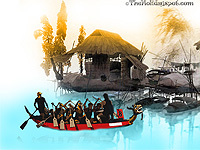 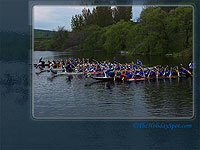 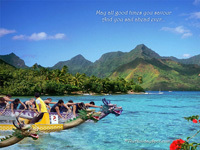 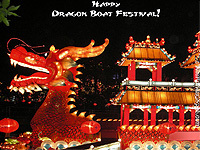 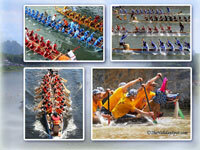 So download one of these Dragon Boat Festival wallpapers on your PC screen now, and liven up your ambiance.